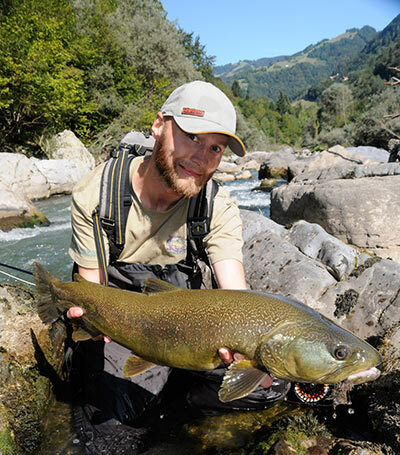 This week MidCurrent sits down with Rasmus Ovesen, editor of the brand new fly fishing quarterly Fin Chasers, to talk about fly fishing in Europe, the online magazine business, and his favorite fly fishing writer. MC: Where did the idea for Fin Chasers come from? RO: The idea of starting up a new fly fishing magazine materialized after meeting up with graphics designer Martin Ejler Olsen, who has done graphics work for several big fly fishing brands in Europe. Martin had strong ties to the European tackle company Svendsen Sport A/S, who showed interest in becoming a full-fledged investor—and ultimately making a 100% free fly fishing publication a possibility. With Svendsen Sport A/S on board, we were able to get started and branch out to other actors within the market, allowing us financially to concentrate on producing the magazine and distributing it. The concept of making a free online fly fishing magazine primarily relating to the European fly fishing scene had been floating around for years, but hooking up with a gifted art director and the right investors made the realization of our grand idea a real possibility. MC: There are a lot of fly fishing publications out there. 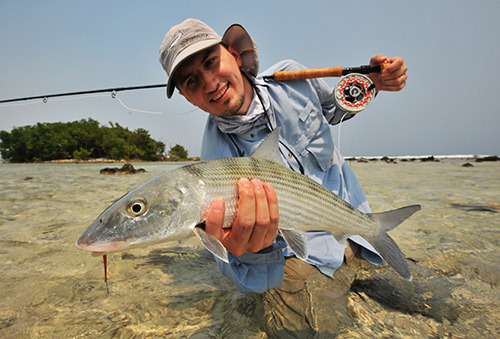 What role do you see Fin Chasers playing in the global fly fishing media landscape? What niche is it filling? 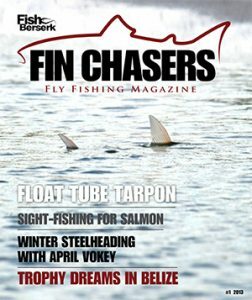 RO: Fin Chasers magazine aims at striking a unique balance between inspiring and instructive fly fishing journalism on the one hand, and top quality pictures on the other. And since most online fly fishing magazines are situated in the US and Canada, we–as a European based fly fishing magazine–focus primarily on fishing that relates to a European audience. Among other things, this means that you’ll be seeing quite a few articles about fly fishing for Atlantic salmon and endemic European trout species. MC: Why did you decide to issue Fin Chasers as a digital magazine instead of a print magazine? RO: For several reasons. First of all, we wanted to reach as big an audience as humanly possible. And doing a free online magazine allowed us to transcend geographical boarders. Secondly, we wanted to be able to embed videos and other multimedia-functions in the layout to provide the readers with an enhanced experience. Thirdly, we could reduce the production costs dramatically by simply having the magazine hosted online in stead of having it printed. MC: What are your ultimate ambitions for Fin Chasers? What would you like it to be in 2 years? 5 years? RO: Our ambition is to be at the very forefront of the whole magazine business and to further develop and perfect our magazine concept. We love working on the magazine, and since the primary driving force behind it is the passion to create quality fly fishing journalism on the one hand and getting people inspired to go fly fishing on the other, we will continue being a free online magazine. It’s not a business for us—it is a lifestyle! MC: What’s your own fly fishing history? RO: I am 33 years old and have recently moved to Oslo, Norway, from Denmark. I run my own company focusing primarily on marketing and communication, and for the past seven years I have worked as a freelance fly fishing journalist and photographer. I have fly fished since the age of 8 and I still find the whole sport—everything from the delicate mechanics of the cast to the tireless pursuit of that elusive dream fish—to be intriguing and inspirational. To me, fly fishing is about serenity and intensity, perfection and poetry—it is a continuous journey where the scenery changes but the goal and mindset remain the same. Martin Ejler Olsen (the art director) has been an avid fly fisherman for several years. He is 30 years old, resides in Copenhagen, Denmark and he has done graphics work for a lot of high-profile fly fishing brands through out the years. He is an incredible photographer, and he is extremely passionate about fly fishing for tropical species such as bonefish, permit, and tarpon. He is very drawn to the aesthetics of fly fishing, and he fishes as much with his camera as with his fly rod. MC: How would you describe European fly fishing culture to an American audience? How is it similar to, and how is it different from American fly fishing culture? Art Director Martin Ejler Olsen. are also very experimental. For instance a lot of fly fishing is being done for pike, perch, zander, asp, carp, and catfish—just to name a few. There are great differences between the individual countries, however. In Denmark, for instance, 90% of all fly fishermen primarily fly fish for sea-run brown trout on the open coasts, whereas fly fishermen in the Balkans fly fish mainly for trout and grayling in mountain rivers. European fly fishermen are also very independent and entrepreneurial. They are very adamant about learning to cast well, and like the adventure of cracking the codes by themselves—without the use of guides. More and more guides have established businesses in Europe over the last five to ten years, but guides are still far less used than in the US. MC: Last question: who’s your favorite fly fishing writer? RO: Gierach, definitely John Gierach. I love reading him. His style of writing is so concise, vivid, and humorous.